Because of size, slides from presentations are not posted. Please email to receive a copy of any presentation or conference proceedings. Note: Only technical conference presentations are included in this list. Dept seminars, outreach-type presentations, and panels (of any nature) are not shown. However, the PI and group members routinely participate in these types of events. H. Choi, A. M. Armani, MRS Spring Meeting. H. Choi, A. M. Armani, SPIE Photonics West LASE. R. Zeto, S. Soltani, V. M. Diep, A. M. Armani, SPIE Photonics West LASE. A. Kovach, D. Chen, S. Soltani, S. Poust, V. Gambin, A. M. Armani, SPIE Photonics West LASE. D. Chen, A. Kovach, S. Poust, V. Gambin, A. M. Armani, SPIE Photonics West LASE. 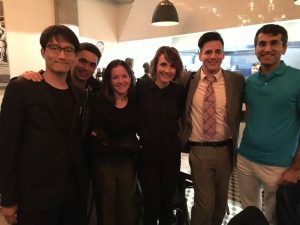 K. Kaypaghian, S. E. McBirney, D. Chen, A. Scholtz, A. M. Armani, BMES Annual Meeting. D. Chen, S. McBirney, K. Kaypaghian, A. Scholtz, H. Ameri, A. M. Armani, OSA Frontiers in Optics. S. McBirney, A. M. Armani, CLEO. V. M. Diep, R. Castro-Beltran, A. M. Armani, MRS Spring Meeting. D. Chen, A. Kovach, X. Chen, S. Poust, A. M. Armani, SPIE Photonics West. A. W. Hudnut, A. M. Armani, SPIE Photonics West. X. Shen, R. Beltran, V. Diep, S. Soltani, A. M. Armani, OSA Frontiers in Optics. S. Mehrabani, A. M. Armani, Air Quality Measurement Methods and Technology. E. K. Moen, B. L. Ibey, Z. A. Steelman, H. T. Beier, A. M. Armani, 2nd World Congress on Electroporation. E. K. Moen, B. L. Ibey, H. T. Beier, A. M. Armani, APS March Meeting. H. Choi, A. M. Armani, SPIE Photonics West. S. Soltani, A. Hudnut, A. M. Armani, SPIE Photonics West. R. Castro, V. Diep, E. Gungor, S. Soltani, A. M. Armani, SPIE Photonics West. S. E. McBirney, K. Trinh, A. Wong-Beringer, A. M. Armani, SPIE Photonics West. E. K. Moen, B. L. Ibey, C. C. Roth, R. A. Barnes, H. T. Beier, A. M. Armani, SPIE Photonics West. V. Diep, A. M. Armani, MRS Fall Meeting. M. Lee, E. Gungor, M. Siron, A. M. Armani, ACS Annual Meeting. J. Park, K. Park, A. M. Armani, Y-W. Song, EMN Photonics. E. K. Moen, H. T. Beier, B. L. Ibey, A. M. Armani, SPIE Photonics West. V. Sun, A. M. Armani, AIChE Meeting. E. Moen, H. Beier, C. C. Roth, G. L. Thompson, A. M. Armani, B. L. Ibey, Biophysical Society Annual Meeting. E. Moen, G. L. Thompson, A. M. Armani, H. T. Beier, B. L. Ibey, SPIE Photonics West. M. C. Harrison, A. M. Armani, SPIE Photonics West. 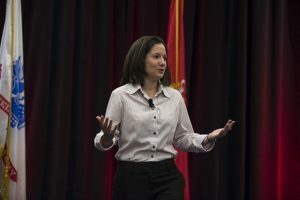 M. V. Chistiakova, A. M. Armani, SPIE Photonics West. T. M. Assi, V. Sun, K. Kuo, A. M. Armani, AIChE Annual Meeting. M. V. Chistiakova, A. M. Armani, AIChE Annual Meeting. S. Soltani, A. M. Armani, IEEE Photonics Conference. C. Shi, S. Soltani, A. M. Armani, IEEE Nano. S. Mehrabani, A. Harker, A. M. Armani, MRS Spring Meeting. C. Shi, A. M. Armani, SPIE Photonics West. S. Soltani, A. M. Armani, SPIE Photonics West. S. Mehrabani, A. M. Armani, SPIE Photonics West. N. Deka, A. M. Armani, SPIE Photonics West. A. J. Maker, A. M. Armani, SPIE Photonics West. A. J. Maker, N. Deka, A. M. Armani, AIChE Annual Meeting. E. Meinke, V. Sun, S. Mehrabani, A. M. Armani, AIChE Annual Meeting. S. Mehrabani, P. Kwong, M. Gupta, and A. M. Armani, AIChE Annual Meeting. X. Zhou, L. Zhang, A. M. Armani, H. Zhang, W. Pang, CLEO-Pacific Rim. A. J. Maker, B. A. Rose, A. M. Armani, SPIE Photonics West. 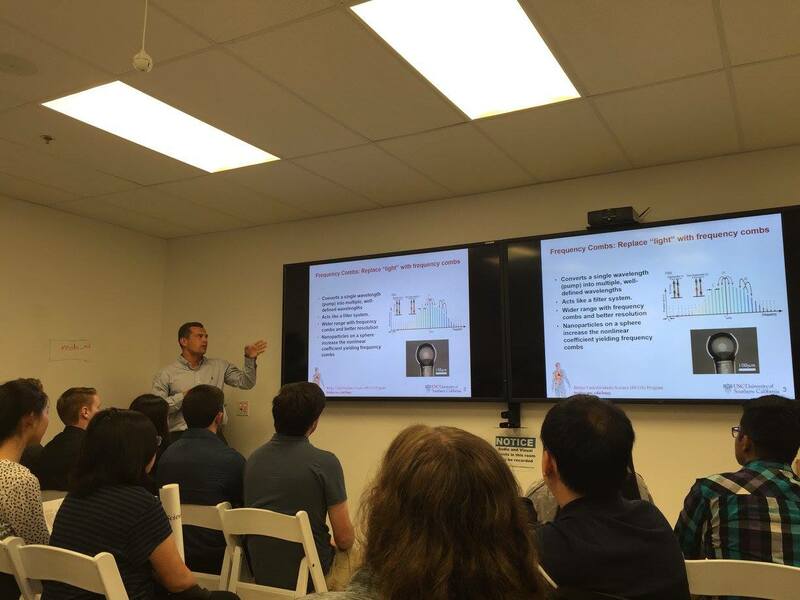 H. K. Hunt, A. M. Armani, “Regenerative bioconjugation of whispering gallery mode optical resonators for label-free biosensing”, ACS National Meeting. J. Gamba, C. Murthy, A. M. Armani, “Mass transport to suspended waveguide biosensors”, APS March Meeting. M. I. Cheema, A. G. Kirk, S. Mehrabani, A. M. Armani, A. 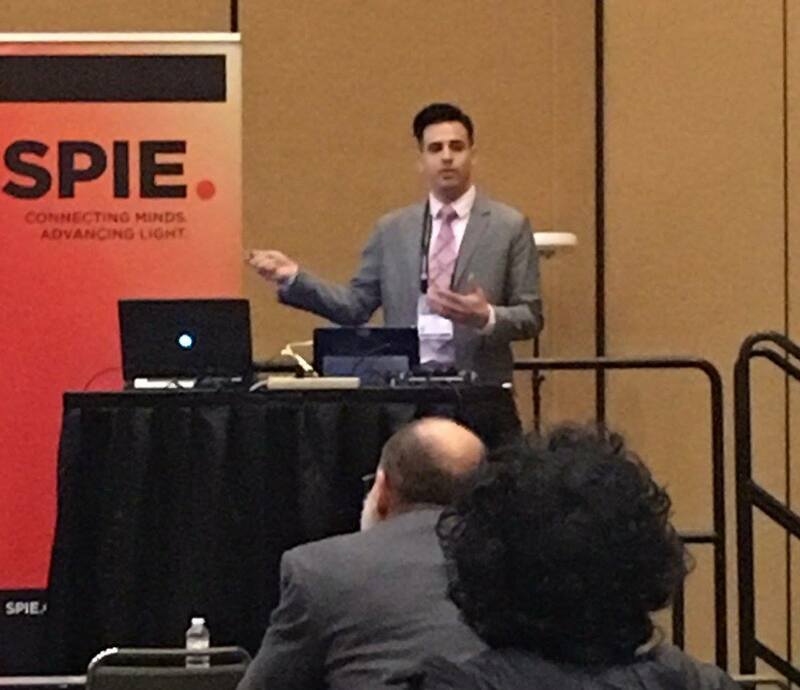 A. Hayat, F. Vanier, Y-A Peter, “Experimental demonstration of application of ring-down measurement approach to microcavities for biosensing”, SPIE Photonics West. A. J. Maker, A. M. Armani, “Low loss silica on silicon integrated waveguides”, SPIE Photonics West. X. Zhang, A. M. Armani, “Suspended silica beam splitters on silicon with large core-clad index difference”, SPIE Photonics West. 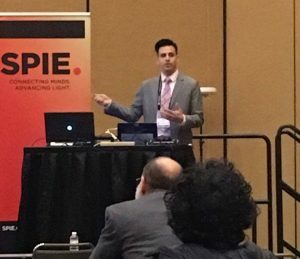 S. Mehrabani, H. K. Hunt, A. M. Armani, “Reconfigurable visible quantum dot microlasers integrated on a silicon chip”, SPIE Photonics West. M. C. Harrison, R. M. Hawk, A. M. Armani, “Silica suspended waveguide splitter-based biosensor”, SPIE Photonics West. X. Zhang, A. M. Armani, “2×2 Suspended silica splitter on silicon”, OSA Frontiers in Optics. H-S. Choi, A. M. Armani, “Athernal polymer coated hybrid microresonators”, IEEE Nano. C. E. Soteropulos, H. K. Hunt, A. M. Armani, “Determination of binding interactions using optical microcavities”, AIChE Annual Meeting. B. W. Biggs, H. K. Hunt, A. M. Armani, “Surface patterning for selective bioconjugation of oxide-based biosensors”, AIChE Annual Meeting. L. M. Freeman, Y. Dayani, S. Li, H-S. Choi, N. Malmstadt, A. M. Armani, “Evanescent field excitation of Cy5-conjugated lipid bilayers using optical microcavities”, SPIE Optics and Photonics. C. E. Soteropulos, H. K. Hunt, A. M. Armani, “Bioconjugation strategies for improved optical sensor performance”, SPIE Optics and Photonics. H-S. Choi, A. M. Armani, “Thermally stable hybrid organic/inorganic resonant cavities”, SPIE Optics and Photonics. H. K. Hunt, C. Soteropulos, A. M. Armani, “Regenerative immobilization of biomolecules on label-free optical biosensors”, MRS Spring Meeting. 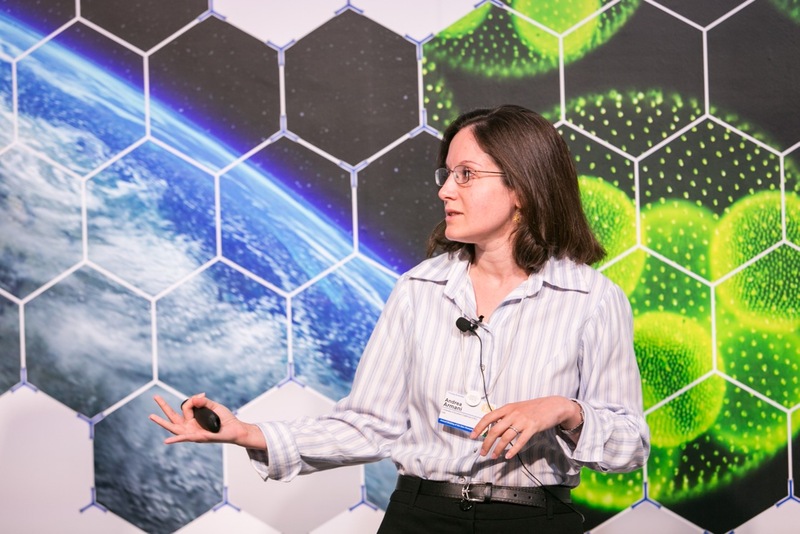 H. K. Hunt, C. Soteropulos, A. M. Armani, “Bioconjugation of ultra-high-Q optical microcavities for label-free sensing”, SPIE Photonics West BiOS. H-S. Choi. X. Zhang, A. M. Armani, “Polymer coated silica ultra-high-Q microresonators”, OSA Frontiers in Optics. H. K. Hunt, C. Soteropulos, A. M. Armani, “Bioconjugation of optical microcavities for label-free sensing”, AIChE Annual Meeting. H. Hsu, C. Cai, A. M. Armani, “Low threshold Er3+/Yr3+ co-doped microcavity laser”, SPIE Photonics West OPTO. A. M. Armani, “Label-Free Biosensors”, EmTech@MIT2009, 2009. A. M. Armani, “Applications of Nanotechnology in Society”, ELAC Summer Green Science Program, 2009. A. M. Armani, “Nanotechnology”, Computational Science Workshop for Under-represented Students, 2009. A. Maker, H. Hsu, A. M. Armani, Mork Dept Student Seminar Day, 2008. A. M. Armani, “Label-free, single molecule detection of cytokines based on resonant cavity enhancement”, 14th Annual Workshop on Single Molecule Spectroscopy and Ultra-sensitive Analysis in the Life Sciences, Berlin, 2008.